Joseph Kitchin was born in Chicago, Illinois. His mother was German and father was English. 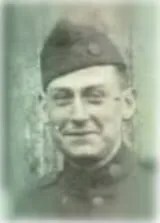 An only child and accomplished musician, Joseph became a Professor of Music at Coe College in Cedar Rapids, Iowa before enlisting in the US Army Medical Corps after America’s entry into the Great War. Following the war, he returned to his position at Coe College where he continued to teach violin, music theory and conducted the college orchestra. He also established the Cedar Rapids Symphony Orchestra and served as its first Conductor. After enlisting, Joe was assigned to Evacuation Hospital No. 7 which was organized at Fort Riley, Kansas on November 26th, 1917. Numbering 20 such designated units, Evacuation Hospitals were to be positioned as near the front as possible, yet safe from direct or indirect artillery fire (usually at a distance of 9 to 15 miles from the lines) and accessible both by good roads from the forward area and by hospital trains to permanent Base Hospitals in the rear. The Evacuation Hospital’s mission was to provide urgent surgical and medical treatment to severely gassed and wounded patients from field hospitals whom it was not advisable to send untreated farther to the rear. Originally designed to accomodate 1,000 beds, Evacuation Hospitals were also intended to house these urgent care patients until they were fit to be moved to permanent base hospitals farther in the rear via hospital trains. Read more about Recovery in the Hospitals here. 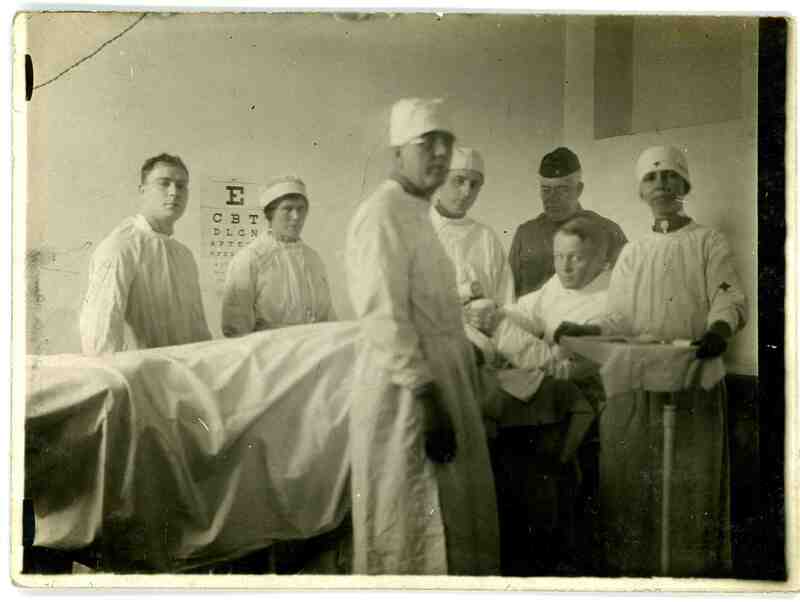 In times of great stress such as during major offensives, there were never enough evacuation hospitals at the front to give full surgical attention to all the wounded. Evacuation Hospital No. 7 was located at Chateau Montanglaust in Coulommiers, near Chateau-Thierry in France. It participated with distinction in the Champagne-Marne, Aisne-Marne, St. Mihiel and Meuse-Argonne Campaigns, earning both the French Croix de Guerre as a unit citation and a separate commendation from AEF General Headquarters. 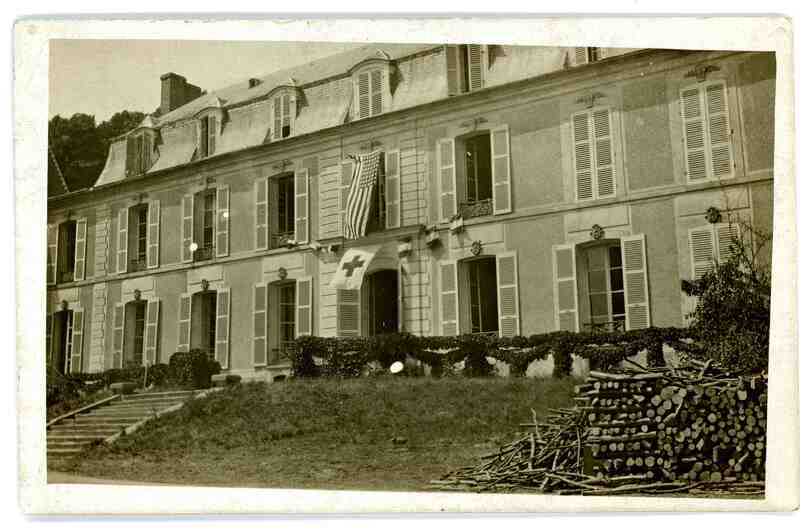 Following his participation in the Aisne-Marne Offensive, Sam Avery was one of those hospitalized at Chateau Montanglaust while recovering from the severe gassing he had received. It was there that Sam Avery and Joe Kitchin may have even crossed paths during the month of August, 1918. 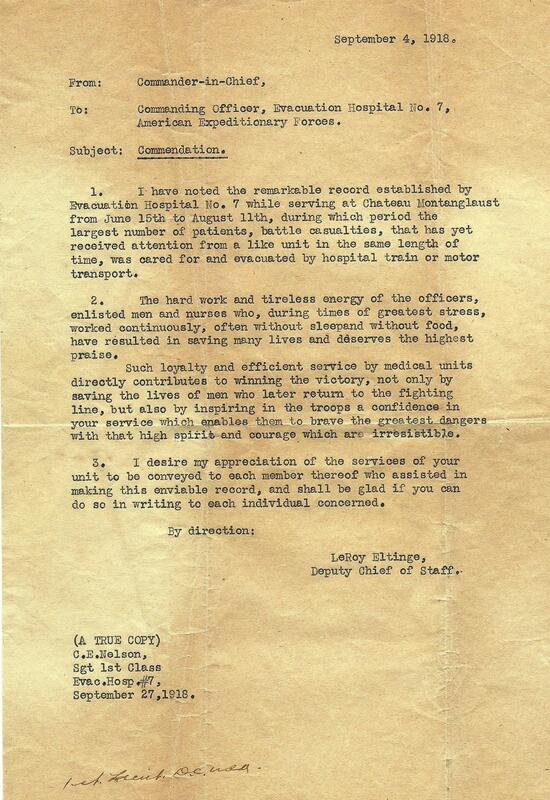 Joe Kitchin rose to the rank of Sergeant and was assigned to one of the hospital surgical teams as an anesthetist. Each surgical team typically consisted of 2 surgeons, 1 anesthetist and 2 nurses. While there were usually 7 or 8 such teams on duty, the number was increased to 14 or more based on needs. How severe the pressure was at times is indicated by the fact that, in the six weeks subsequent to June 13, 1918 (During the Aisne-Marne Offensive), Evacuation Hospital No. 7 received and evacuated 27,000 cases. Between June 14 and November 11, 1918, it admitted more than 50,000 patients. After the Armistice, Evacuation Hospital No. 7 moved into Germany as part of the Army of Occupation where Joe was able to reunite with members of his family (on his mother’s side). The unit finally returned to the United States at the same time in April, 1919 as did the 26th Division. 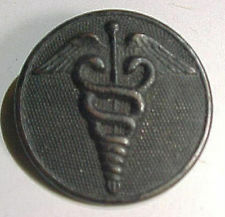 Evacuation Hospital No. 7 was demobilized at Camp Devens on May 1, 1919. 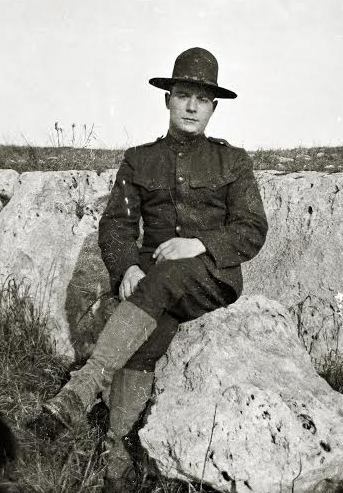 Following his discharge, Joseph Kitchin returned to Camp Dodge in Des Moines, Iowa before re-entering civilian life. The correspondence contained in the Joseph Kitchin Collection includes letters and photographs sent from Joe to his family living in Chicago, Illinois.